The Kounta import option will allow time and attendance data to be pulled directly from Kounta. To use this option you must have a valid Kounta account. 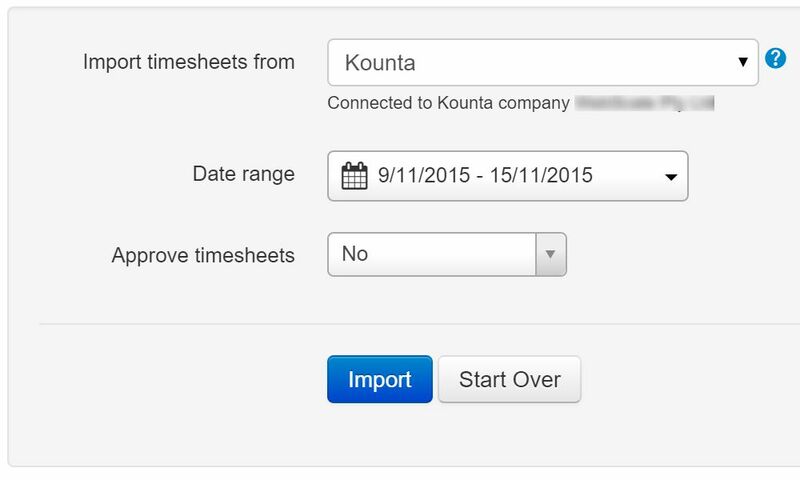 Please note: you will need to enable time and attendance add on in Kounta first before importing the timesheets from Kounta. 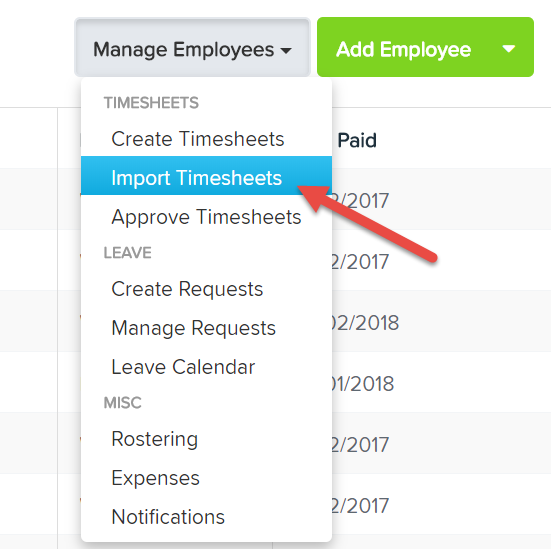 To begin the timesheet import process, select Manage Employees -> Import Timesheets from the menu bar. 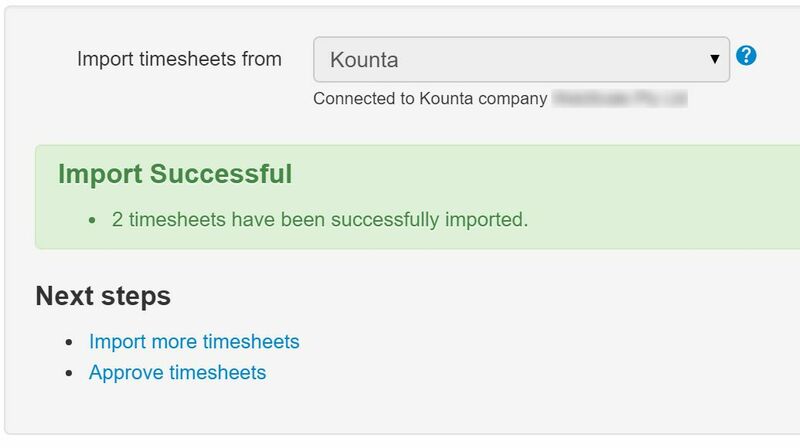 Important: When importing timesheets from Kounta, employee and location data needs to exist and match the data from the timesheets being imported. It is therefore recommended that you use the Import Employees functionality to ensure matching employees and locations can be determined. When you select this option, the connection with Kounta will be verified. If you have not setup Kounta before or the connection is no longer valid, then you may setup the connection by following the "enable your connection" link which will redirect you to the Kounta site to authenticate and verify you wish this data to be made available. 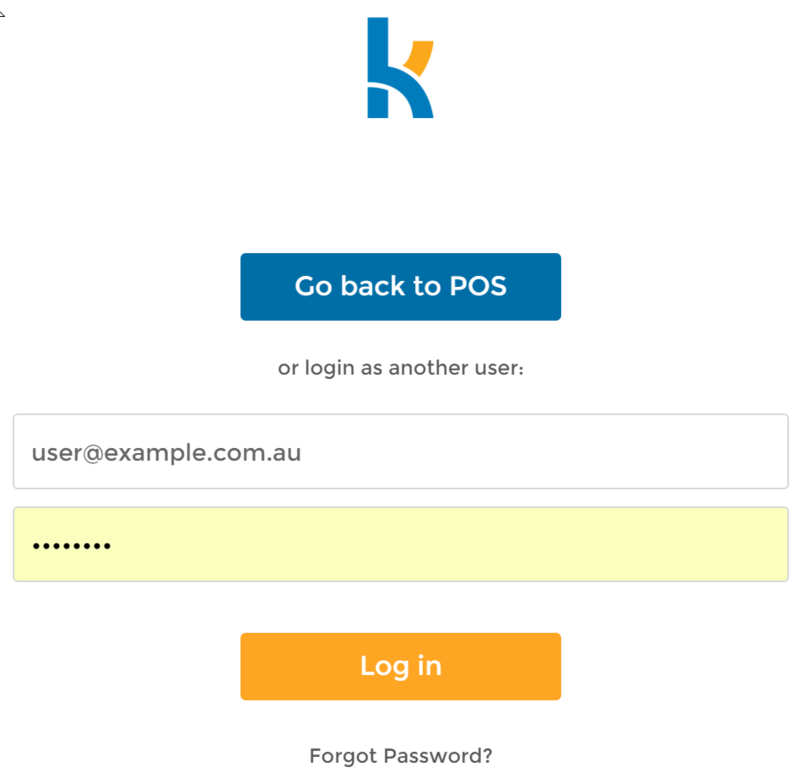 You may be asked to log in to the Kounta if you are not already logged in. 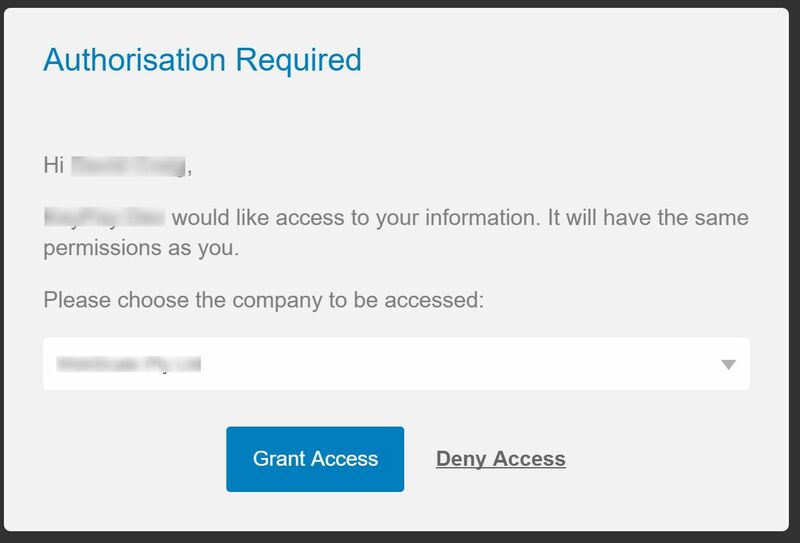 Then you will be asked to verify you grant access to Kounta data, please ensure the correct Kounta company is selected. Once access is granted you will be returned to the timesheet import page. Specify the date range for the Kounta shifts that are to be imported.